Two conglomerates - the $7.1 billion Mahindra Group and networking major Cisco have signed a Memorandum of Understanding (MOU) to collaborate on various projects such as smart cities, virtual dealership, sports and entertainment, and cloud services. They have jointly set up Mahindra Innovation Park to this effect. "By collaborating with Cisco, we are empowering our stakeholders - dealers, customers, partners and others to use technology for the greater good, thereby enabling them to rise. 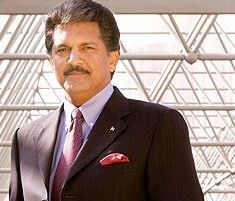 I am delighted that the first project under this initiative is intended to be the Mahindra Innovation Park, which will create new benchmarks through its smart solutions," said Anand Mahindra, Vice-chairman & Managing Director, Mahindra Group. Cisco's Internet Business Solutions Group (IBSG) and Mahindra have begun work on a new virtual sales experience which will complement Mahindra dealerships. The innovative sales experience will aim to expand M&M's customer touch points, enhance brand visibility and provide customers with a superior experience. "The Internet of Things and the power of network are transforming the way we live, work, learn and play. Cisco envisages that all future successful communities will run on networked information. Using Cisco's Smart+Connected Communities framework, we have led several projects that drive social, economic and environmental sustainability, using technology as the key enabler, said Wim Elfrink, Executive Vice President, Emerging Solutions & Chief Globalisation Officer for Cisco. "The collaboration with the Mahindra Group will be a game-changing one and I really look forward to working closely with M&M to transform cities and communities and to innovate new ways of offering services, using network as the platform." The two companies will also launch offerings in the sports and entertainment segment. One such is the Cisco Connected Stadium platform and the StadiumVision solution where access control, wireless, RFID, smart-card ticketing and loyalty programmes, points of sale, and hospitality will be integrated. "This announcement with Cisco demonstrates the solution-centric approach of our IT sector companies - Mahindra Satyam and Tech Mahindra. The four key areas of Smart Cities, Virtual Dealership, Sports & Entertainment and Cloud services, are critical in our ICT vision and we look forward to working with Cisco to achieve it faster and better," said Ulhas Yargop, President, IT Sector, Group CTO and Member, Group Executive Board, Mahindra Group. Cloud-based solutions and services around S+CC, virtual sales and sports and entertainment as a service in a private-public-hybrid cloud in both build operate transfer and Managed Services models will also be explored.